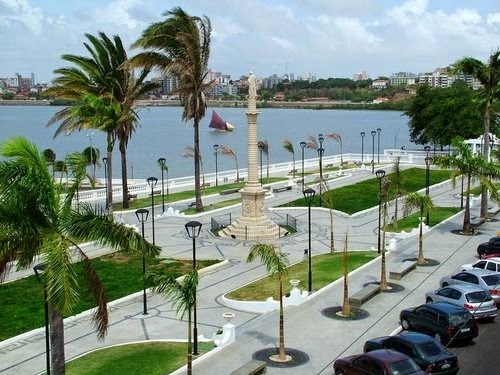 São Luis, the capital of Maranhão, is located on a beautiful tropical island. Its principal industries are sugar refining, a rum distillery, cotton mills, plants for processing cacao, and factories for metallurgical products, chemicals, and hammocks. Exports include babassu palm oil, castor beans, balsam, hides and skins, lumber, cotton, sugar, rice, cassava, and corn. 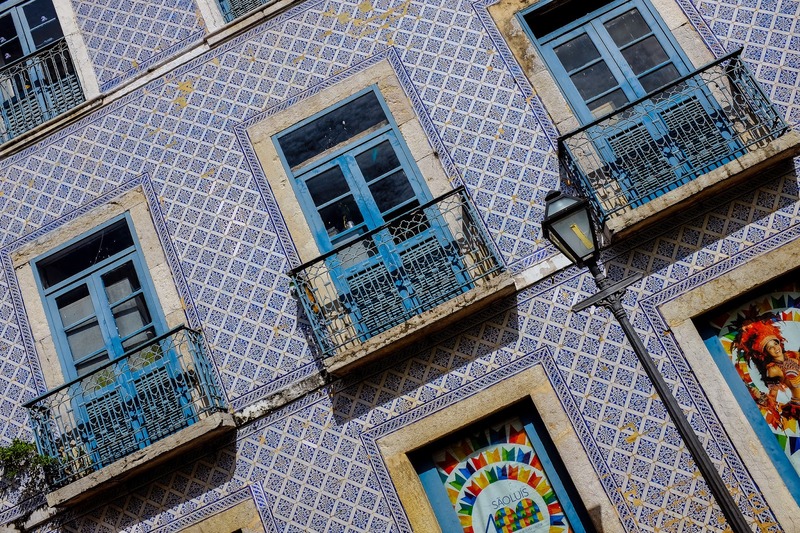 The city has many beautiful historic buildings, many of which are undergoing restoration, most of them are walls covered with Portuguese tiles (from Portugal). The historic center of São Luis. Part of this site was declared a World Heritage Site in 1997 for its Portuguese colonial architecture adapted to the local climate. 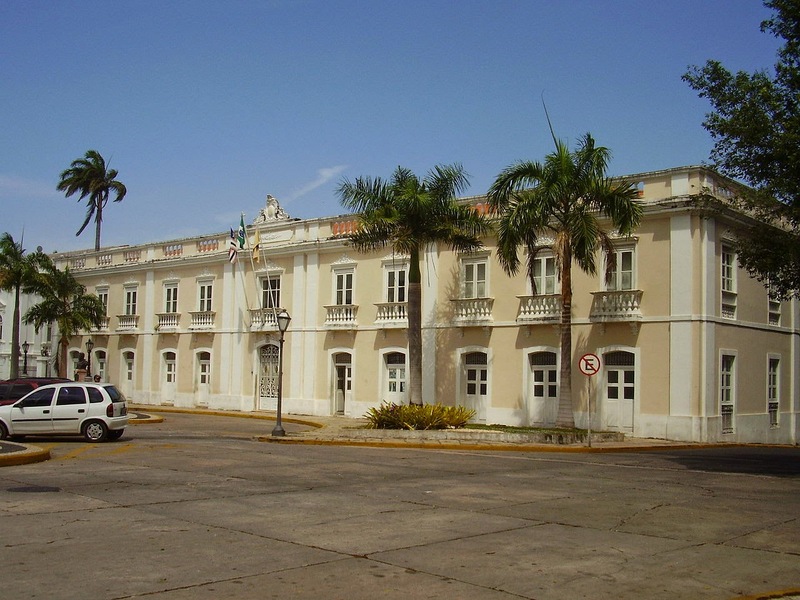 The main architectural feature of the historic center is even the concern with the climate, hot and humid. Among the solutions, it was decided the use of tiles on the waterproofing of mud walls. Plants are "L" or "U" shapes with large roofs and shutters. Photo by Brasil's via flickr. Fonte do Ribeirão. 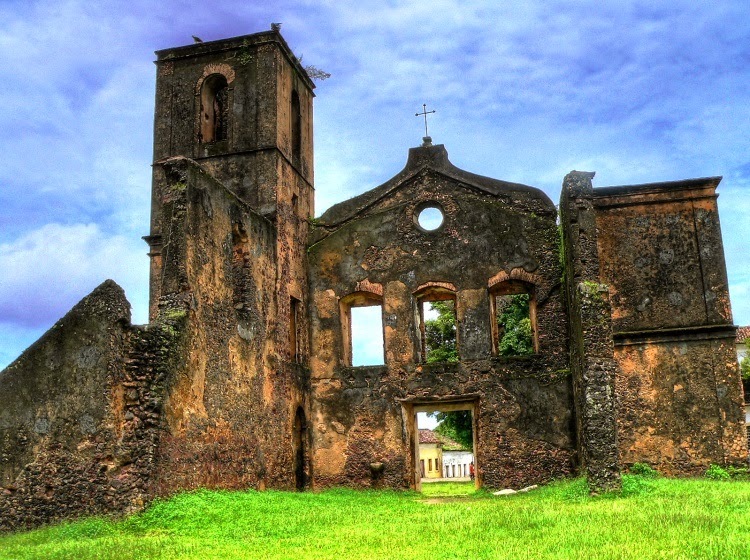 This fountain was constructed by order of governor D.Fernando Antonio de Noronha in 1796. This source supplied the city with water in that time. It has high walls in brick and it has heathen and christian symbols. The floor is in rock of cantaria (cantaria is a work made in rocks in the geometrical and vertical forms). At the top we can see a statue of Neptuno, the god of the sea, reason of legends and superstitions. The three windows with bars give access to the underground galleries. There are five "carrancas" (statues with a strange faces and very ugly) sculptured in rock of cantaria and points made in bronze. The architectural buildings are houses, single-storey houses and solar (Homestead, or ancient noble family residence, large rural property, made up of sowing land, livestock and home ...). 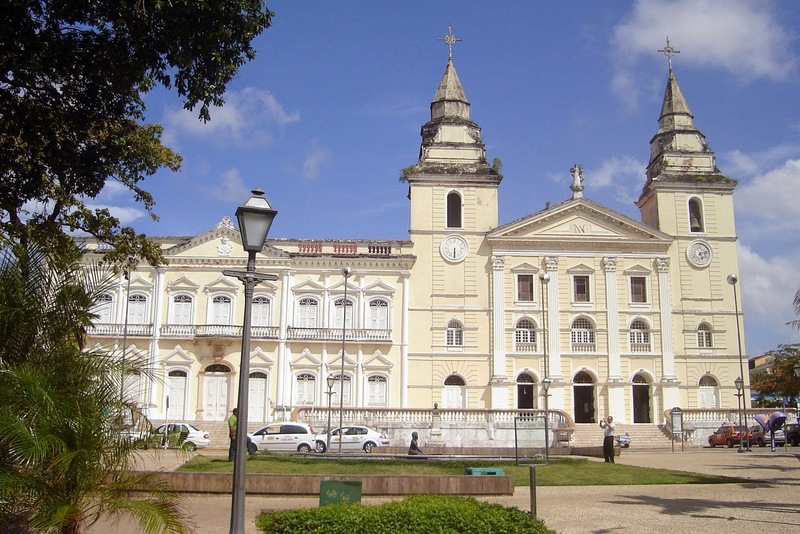 Among the historic buildings to be highlighted, are the Palácio dos Leões (the state seat of government), the Palácio de La Ravardière (City Hall headquarters), the Catedral de São Luis (cathedral), the Episcopal Palace, the Carmo Convent, the Convent of Mercy, the Casa das Tulhas, the churches of the Rosary and the Exile, the House of Mines, the Springs and Rocks, Arthur Azevedo Theatre and many others. 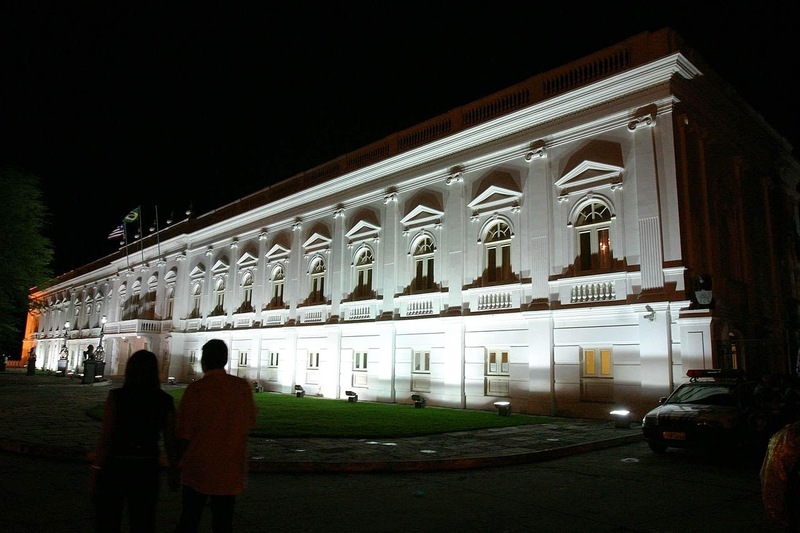 The Palácio de La Ravardière with its origins in the seventeenth century, is an important landmark in the historic city center, declared World Heritage Site by UNESCO.O Palace name is a tribute to Daniel de la Touche, lord of La Ravardière that is considered the founder of the city in 1612. 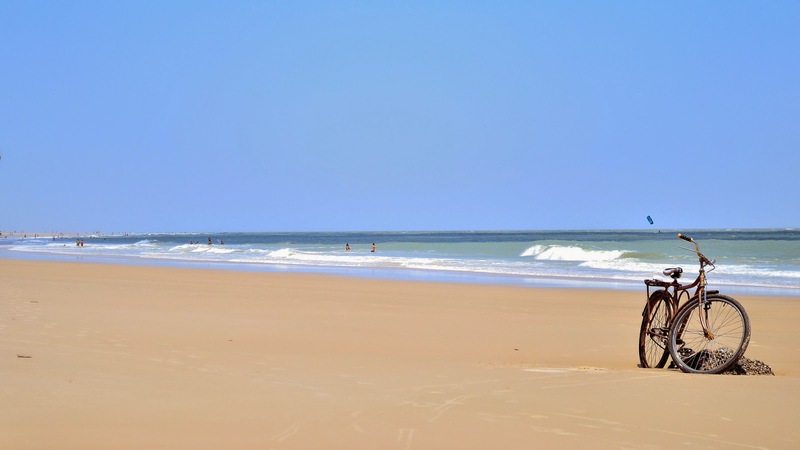 São Luís has a vast area of salt water beaches. It has a distinctive cuisine of the city, such as: cuxá, rice cuxá, the fried fish and the famous pie of shrimp. The city has a very busy nightlife, having many bars, restaurants, party clubs, theaters, cinemas and many performances of local artists, national and international. The nightlife takes place every day of the week. It is a city with many leisure and entertainment options. Photo by danilohaliz via flickr. 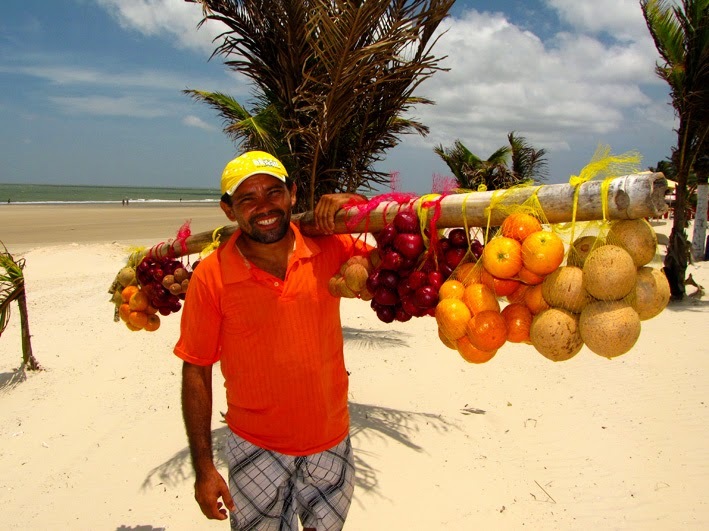 Fruit vendor in Praia de Calhau in São Luis. Fantastic diversity of flavors and colors. 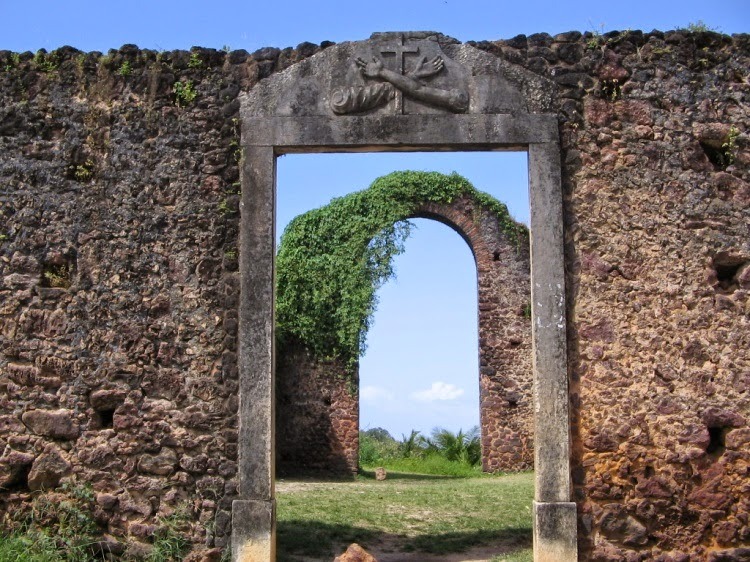 Founded by the French conquerors, São Luís was soon reconquered by the Portuguese, who left their legacy in the mansions of the center with tile facades. Although not as visible, the african-Brazilian syncretism is as important as the Bahia; Candomblé is called tambor-de-mina. Reggae fell in Maranhão taste, with songs sung in "embromation" and dances with body pressed, such as forró. Until the guaraná is unique: color pink and with a strong taste of cinnamon, goes by the name of Jesus. 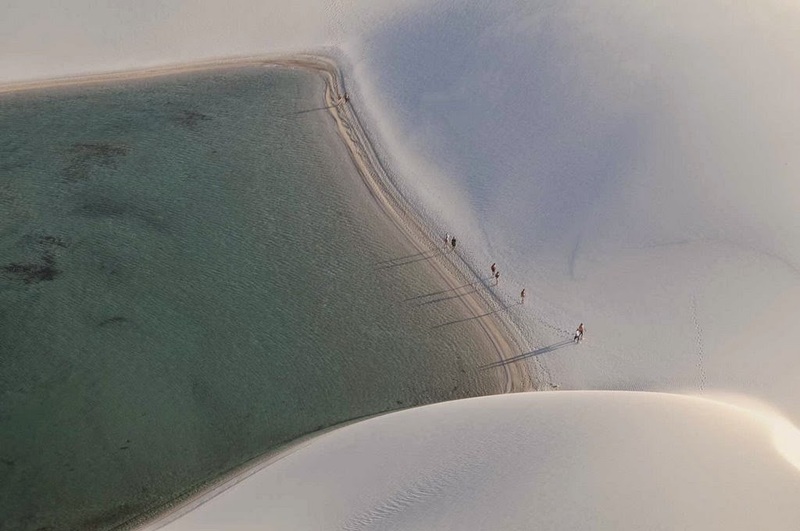 The dunes of Lençóis Maranhenses or sheets (lençois) of Maranhão are an important area of environmental preservation. 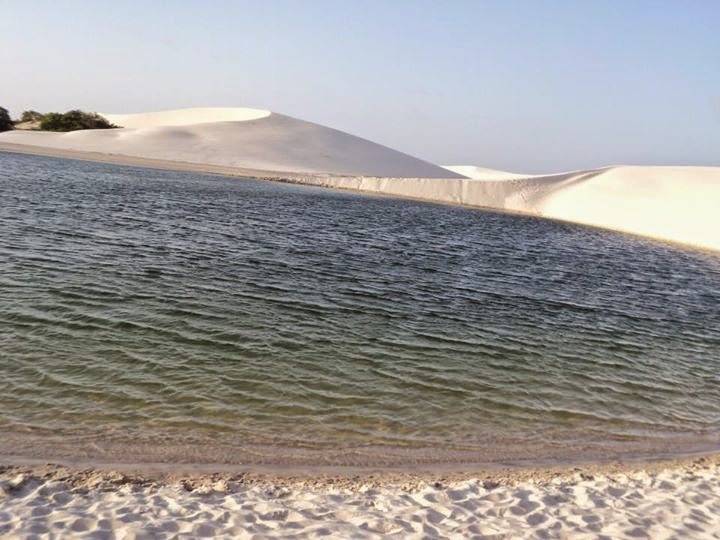 Another important conservation area is the Parnaíba River delta, between the states of Maranhão and Piauí, with its lagoons, desert dunes and deserted beaches or islands, such as the Caju island, which shelters rare birds. WALKS IN THE LENCOIS: It's a natural park so the only way to see it is on foot. There are two main access: from Barreirinhas by taking a trail (45 min) in a 4x4. 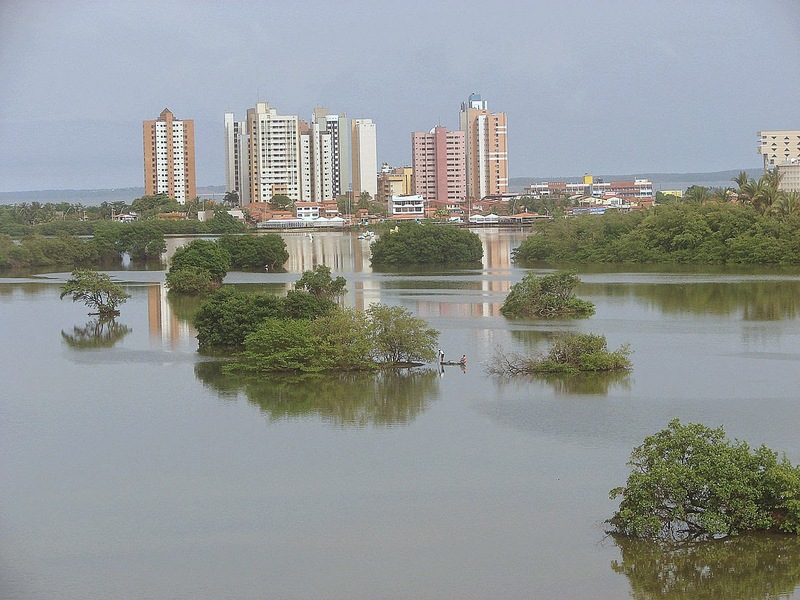 Access from the lagoas (lagoons) Azul, do peixe and da Lua and access to the lagoa Bonita. These two walks although are different they worth to visit and it is the water level of the lagoons that makes you decide which one to take. Be warned: the best time to visit is from April to October, outside this period there is not much water in the lagoons and so the landscape is not the same. 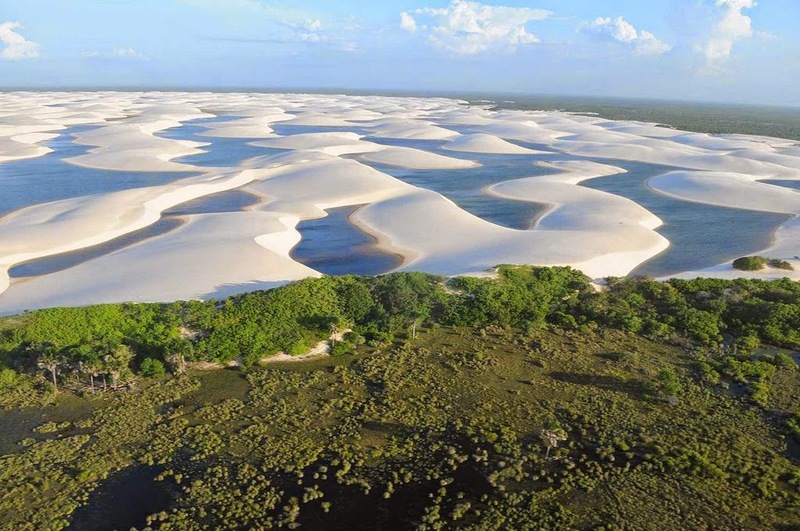 Maranhão is a state in northeast Brazil and is characterized by the dense Amazonian forests in its northern areas and long stretches of barren beaches along the Parnaíba River and coastline. It is bordered by Piauí, Tocantins and Pará as well as the Atlantic Ocean. 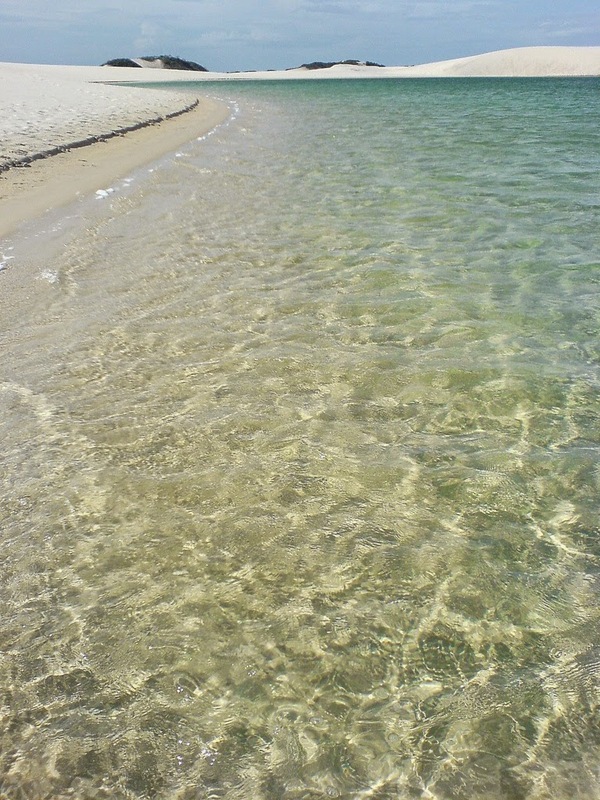 The extensive beaches and sand dunes are protected, due to their ecological importance and contribution. This makes them particularly beautiful to see, as human interference is minimal. 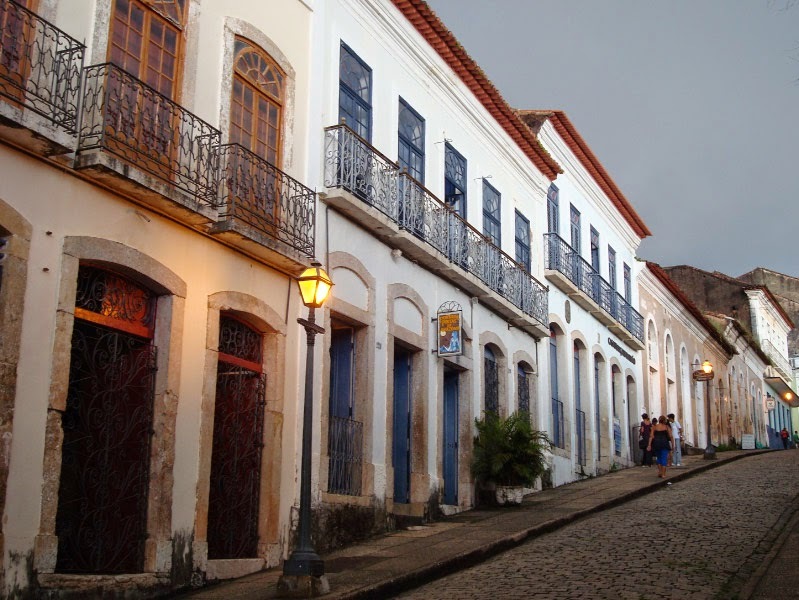 The capital city of this state is São Luís, which is a UNESCO World Heritage Site for its historical value. São Luís of Maranhão in Brazil. 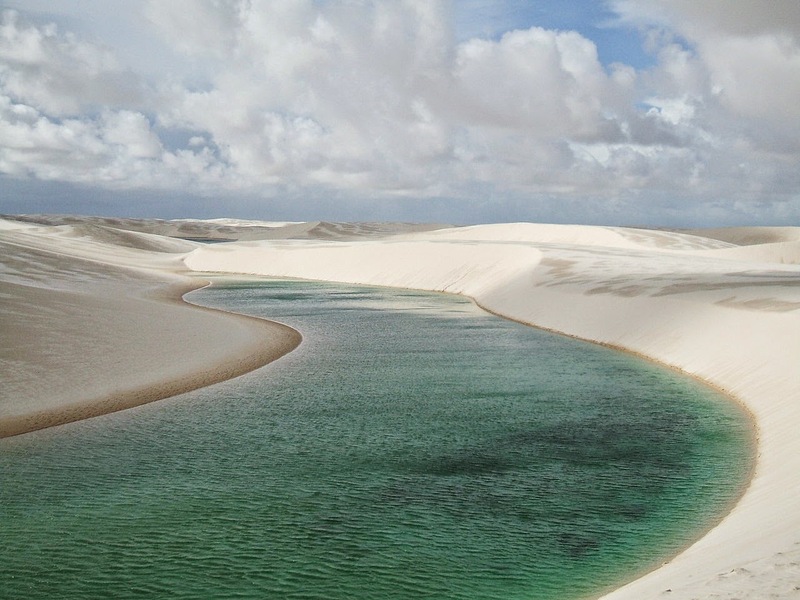 Interestingly, Maranhão was not part of the independence that Brazil declared in 1822. It only became part of the Empire of Brazil in 1823, when Admiral Lord Thomas Cochrane drove the Portuguese out of the area in an effort to liberate Maranhão. extremely high levels of humidity characterizing the wet season. 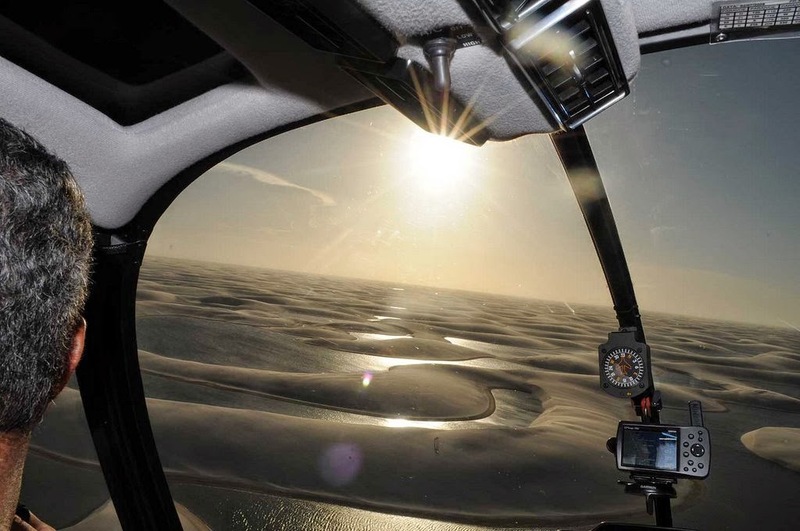 The western shoreline, which has many indentations, is littered with towering mangroves. 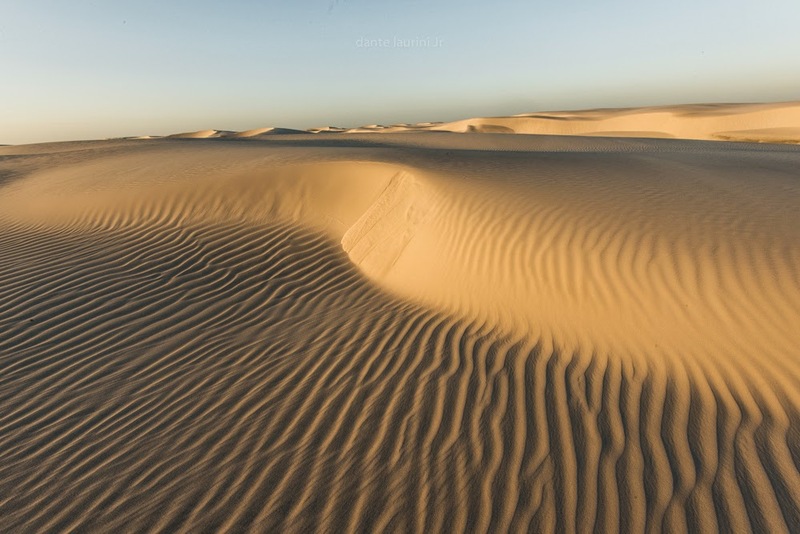 The eastern shoreline has rolling sand dunes and dune fields, which create impressive vistas and awe-inspiring backdrops for photographs. 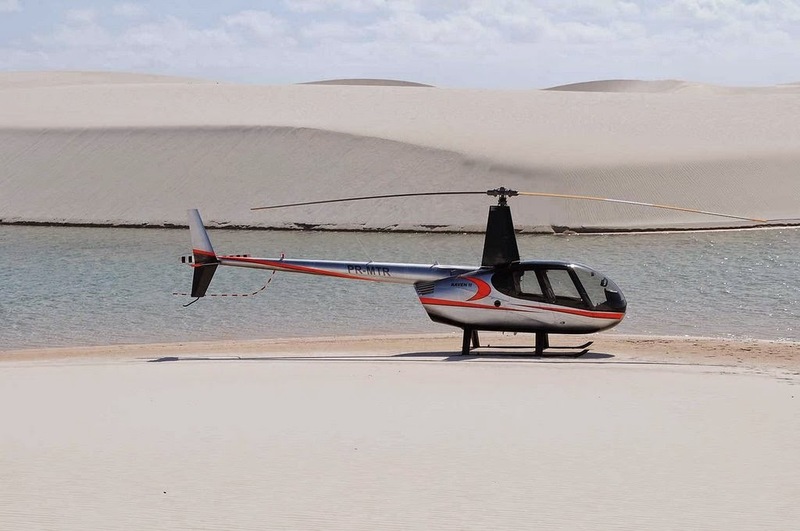 Maranhão is home to approximately 6.5 million people, with over two-thirds of the population living in urban areas. It remains one of the poorest Brazilian states. 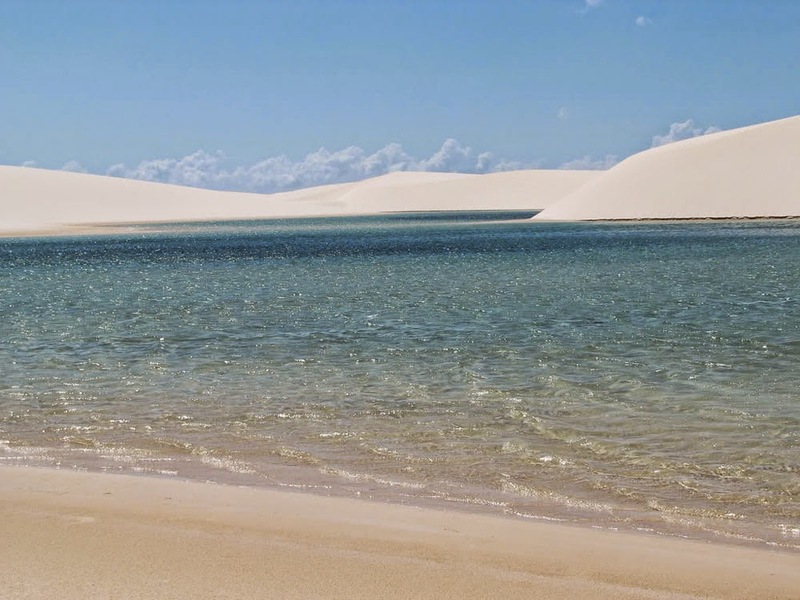 The people of Maranhão have a distinctive accent inside the common Northeastern Brazilian dialect. 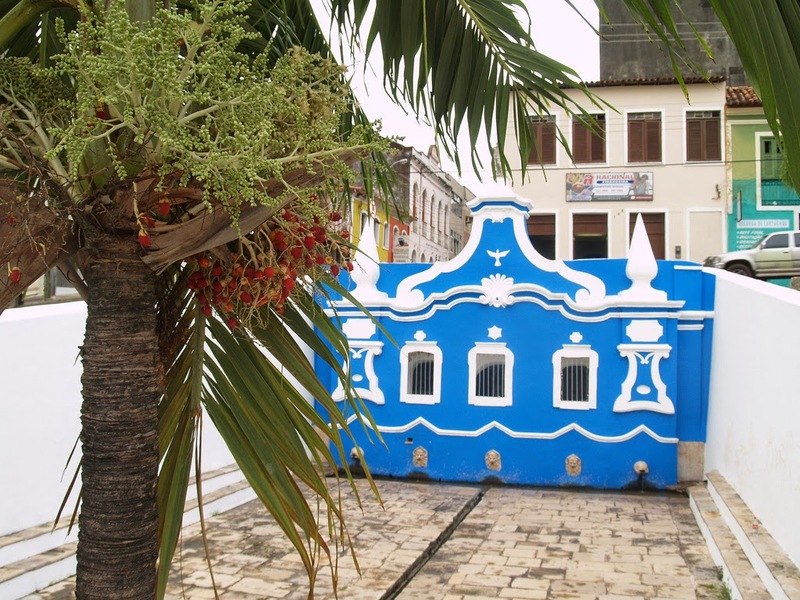 Maranhão is described in books such as The Land of the Palm Trees by Gonçalves Dias and Casa de Pensão by Aluísio Azevedo. 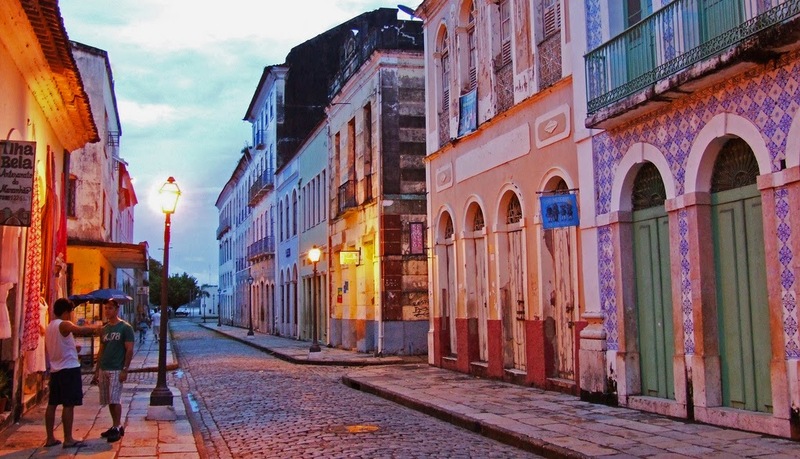 1) Explore its Capital: São Luís: It has the largest architectural group of Portuguese tiles in Latin America. 2) Visit: Alcântara: It is a historic city. 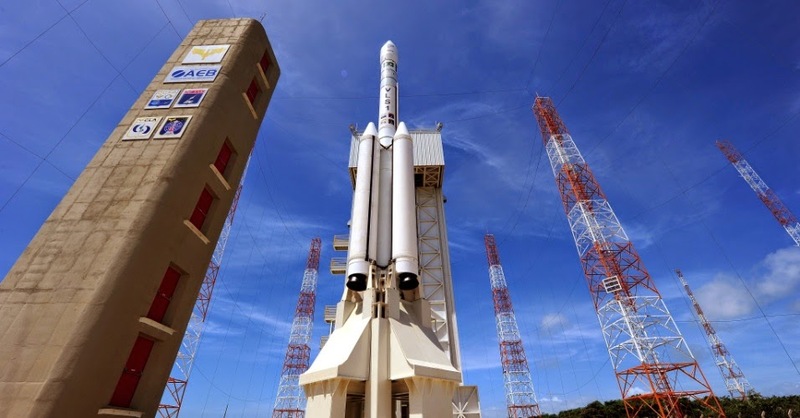 The launching pad for rockets is located in this municipality. 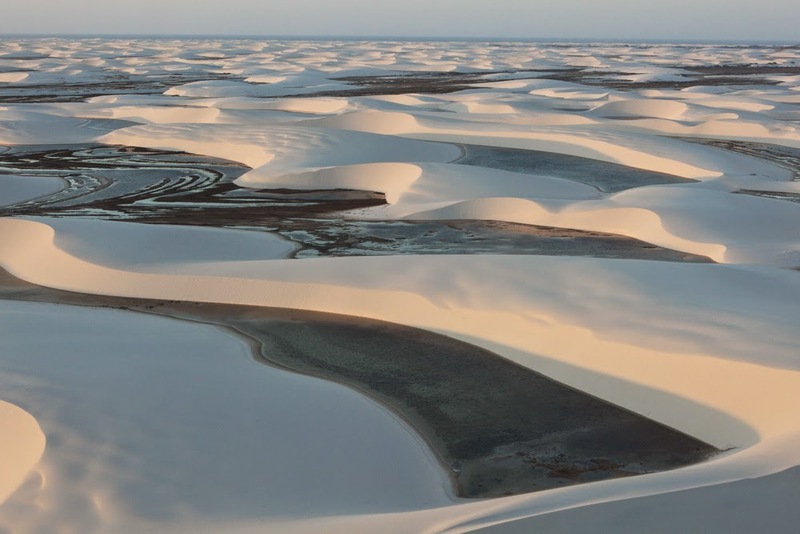 3) Visit: Barreirinhas: It is the portal city of Lençois Maranhenses. 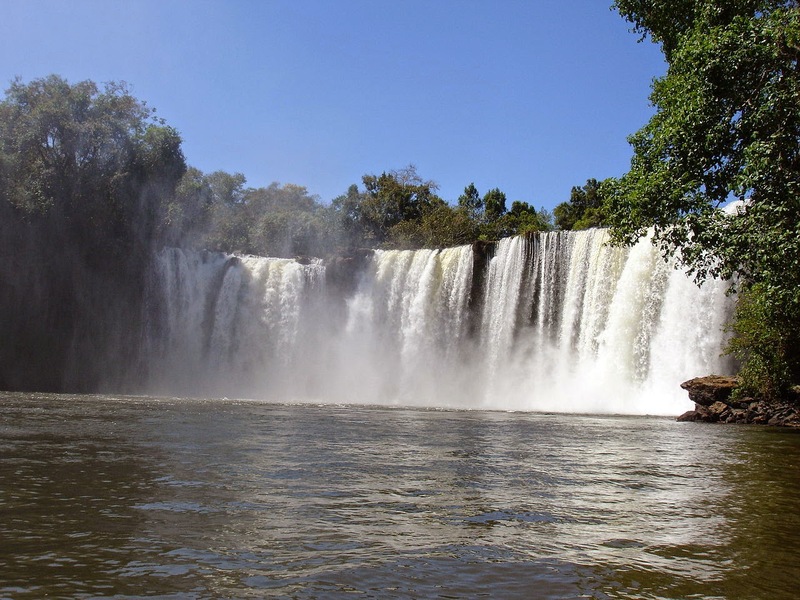 It has a large river called Preguiça that is one of the city's attractions. It has several bars, restaurants and hotels of great qualities that receive thousands of tourists that come to know the Lençóis. 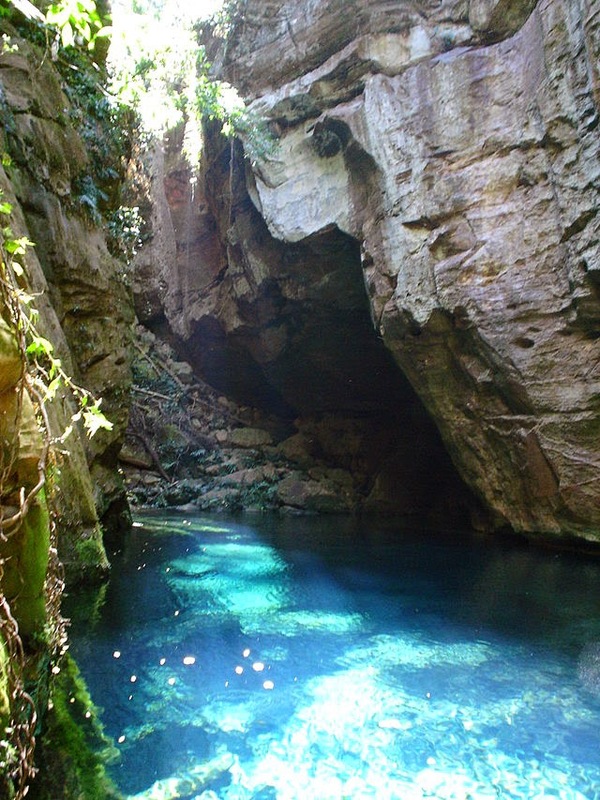 4) Visit: Carolina: Has, as attractions, the waterfalls and the National Park of Chapada das Mesas. 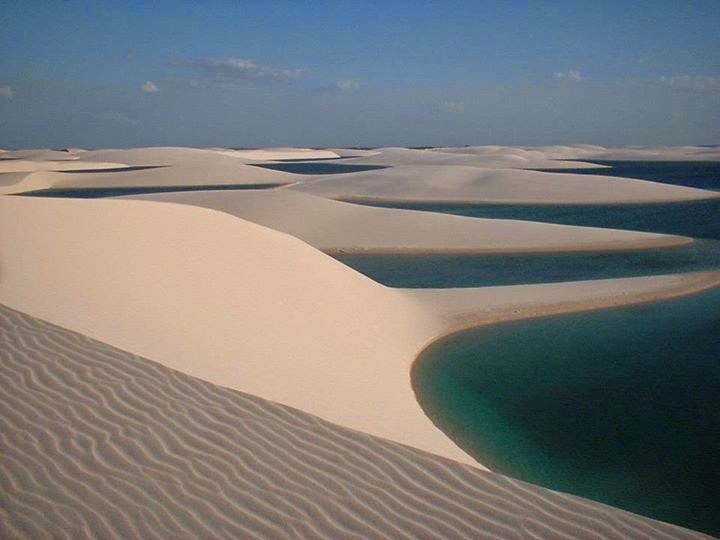 It is in the region of Maranhão' waters. 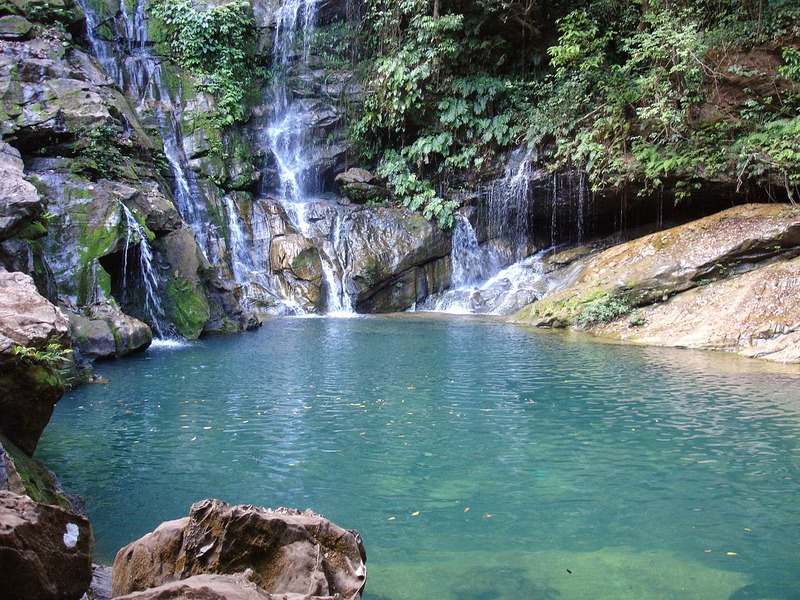 The main tourist waterfalls are Pedra Caída and Itapecuruzinho. The city has also historic importance because its streets are all paved with soapstone, also having a set of colonial houses. 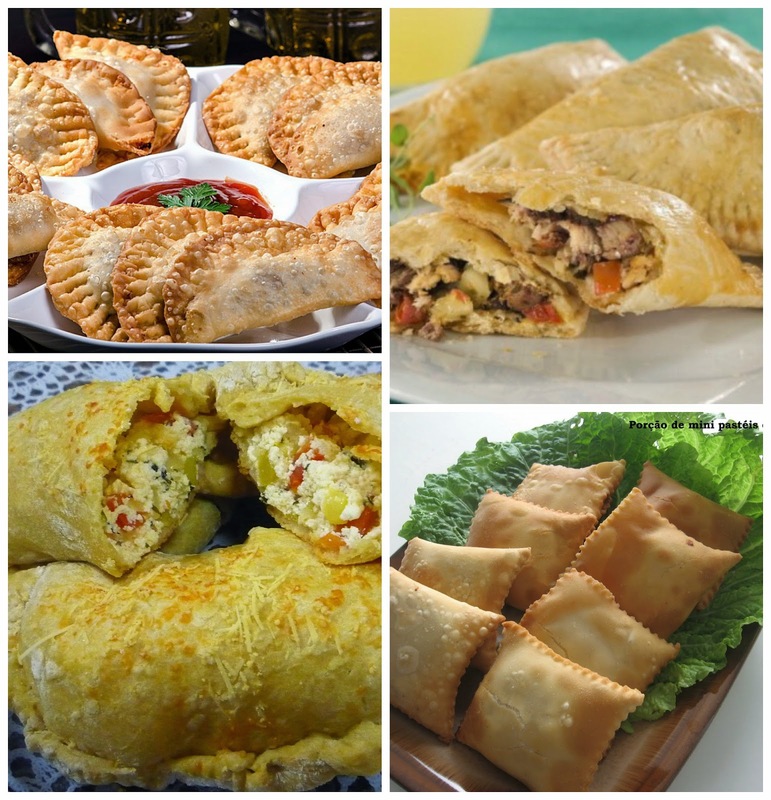 Brazilian food is a big part of the country’s culture — it blends together flavors from all over South America as well as Portugal, Spain (countries that colonized the continent and left their marks on the culture, cuisine, and language), and Africa (many African slave were brought over to work in the plantations and brought many local flavors with them). 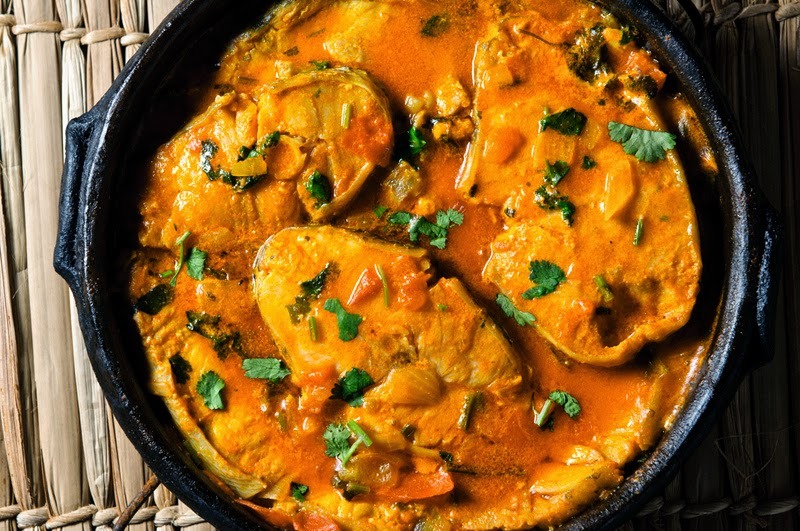 The combination of native dishes with the immigrant-influenced flavors, and those continental influences make Brazilian food unique, complex, and deliciously rich. Brazilian food is generally rich and spicy. Much of it is either fried or slow-cooked to bring out the flavors. Palm oil is often used for the frying and coconut oil is added to bring all the flavors together. 1. 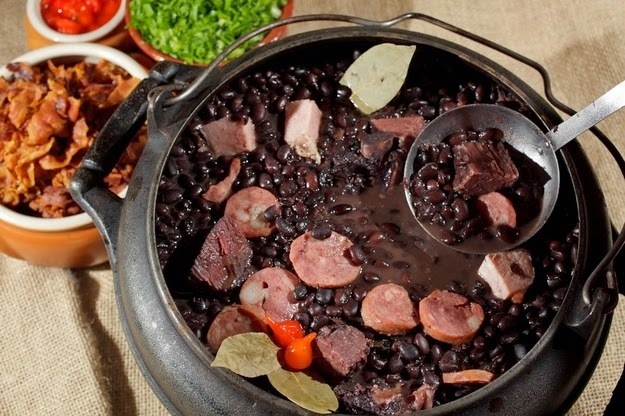 Feijoada: A black bean stew with various types of beef and sausage. 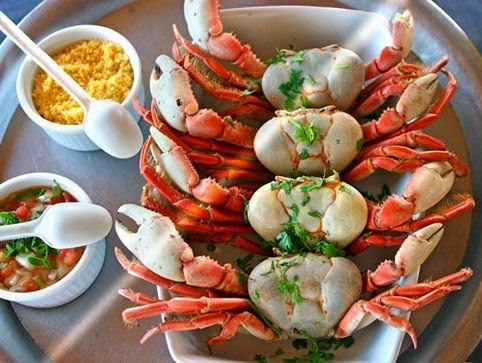 It's often referred to as the national dish of Brazil, so you should try it at least once when you visit the country. In some parts of the country, they also add vegetables like cabbage, kale, potatoes, carrots, okra, pumpkin, and sometimes even banana. These are often added at the end of the cooking process so the juices from the stew can infuse them without making them limp. Everywhere! Its generally served as the main dish in many restaurants on wednesdays and saturdays. 2. Churrasco: in Brazil it simply refers to a barbecue, which is almost comprised of large chunks of meat cooked on skewers. 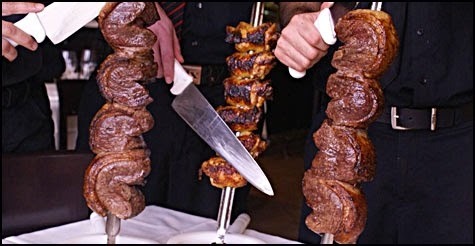 When in Brazil you may want to visit a "churrascaria", a restaurant that has all-you-can-eat barbecued meat, sometimes served with other kind of meets such sausages. In every city you can find many "churrascarias", with all price ranges. 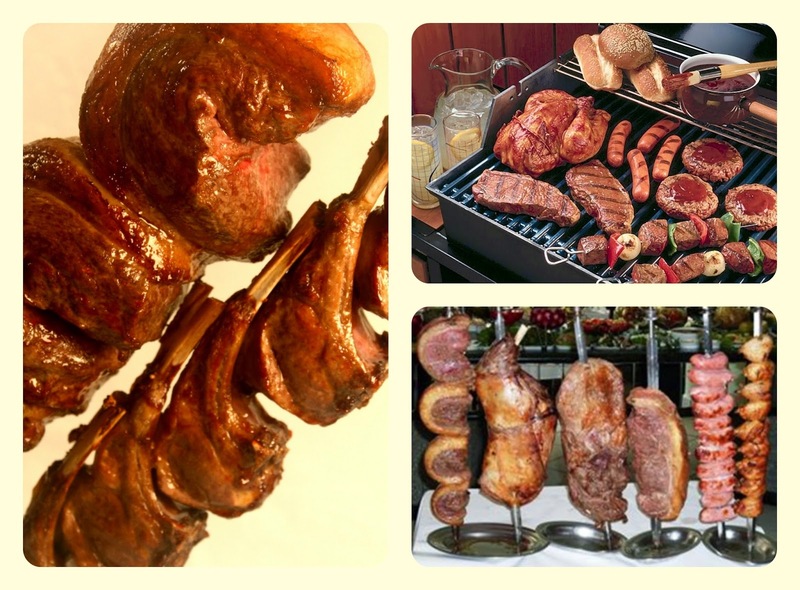 Churrasco is the traditional food in the South region of Brazil. 3. Moqueca de Camarão or Fish: A shrimp or fish stew cooked in coconut milk and palm oil. Add veggies such as peppers and tomatoes to complete. It's one of the country’s most famous dishes. 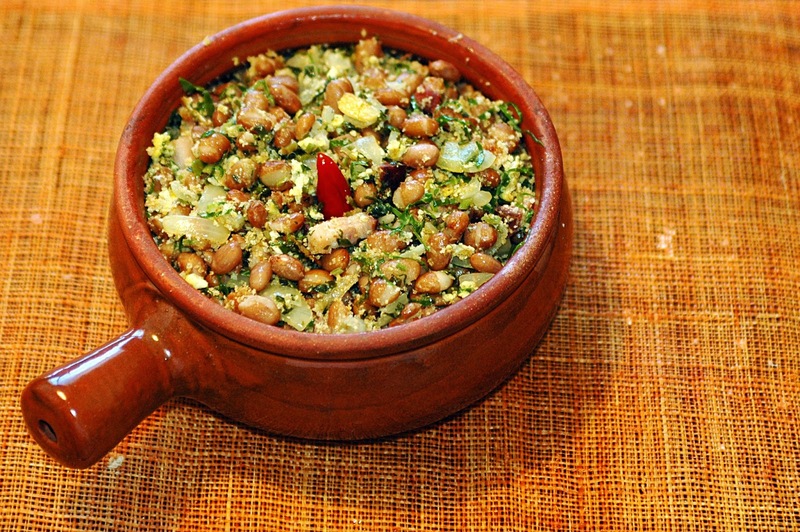 It´s a traditional dish in Bahia, Espirito Santo and Pará. 4. 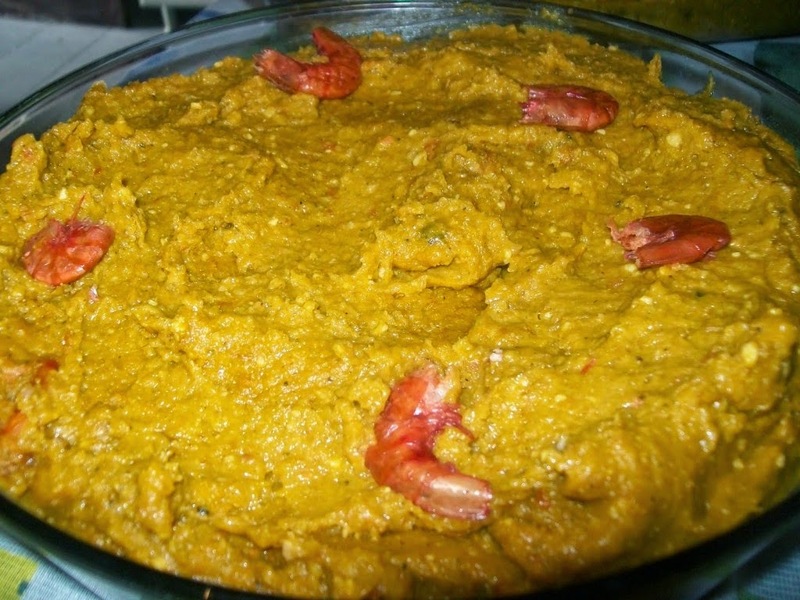 Vatapá: It's a creamy but fragrant dish made from shrimp, bread, and a special paste made from finely ground peanuts, palm oil and of course, coconut milk. It’s often eaten with white rice or acarajé. 5. 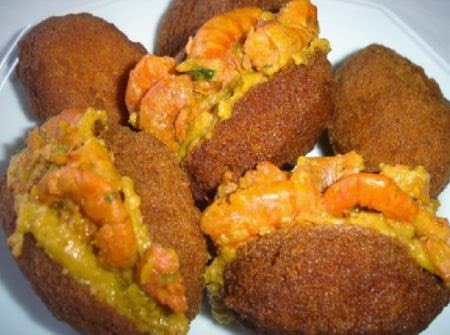 Acarajé: The famous "bolinho" of the Bahia is popular throughout the country. A black-eyed pea ball fried in palm oil, usually stuffed with shrimp and vinaigrette or vatapa. 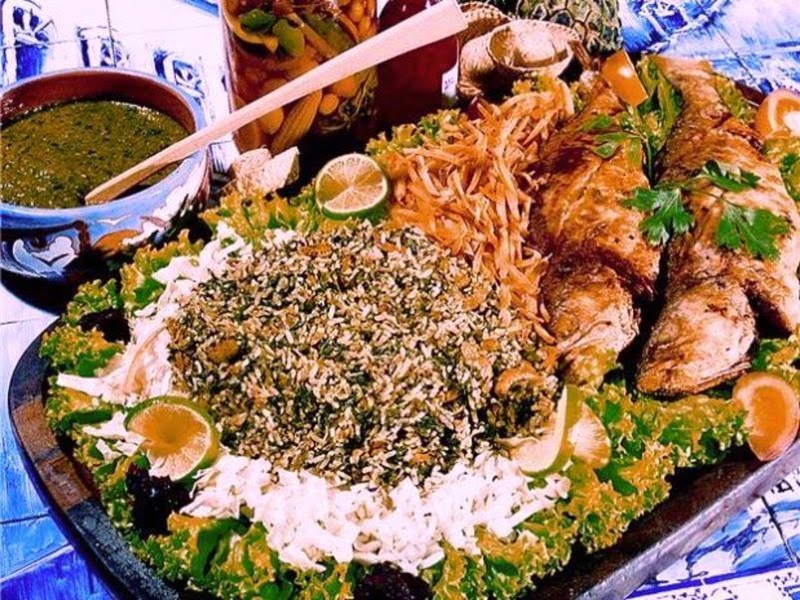 It's a typical dish of Bahia. 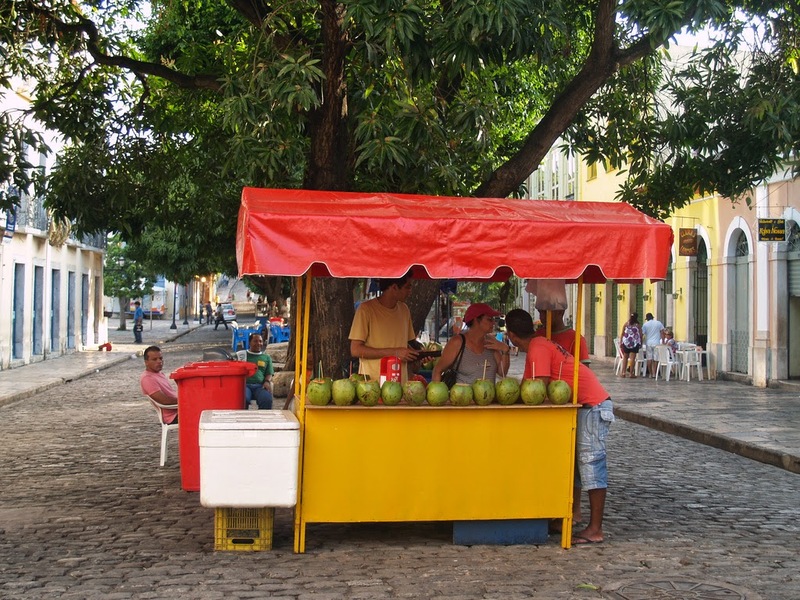 In Salvador city, it's the most common street food. 6. 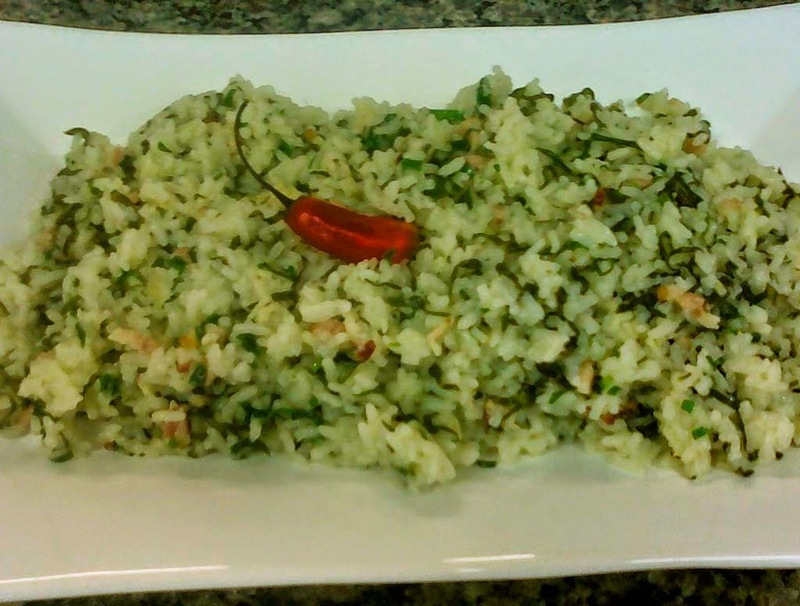 Arroz e Feijão: Traditional every day dish. You can find everywhere (rice and beans). 7. Farofa: Fried cassava flour. It can include egg, bacon, and other add-ons. It’s usually sprinkled over rice and beans. It's a traditional national dish, served as a side dish almost everywhere. 8. 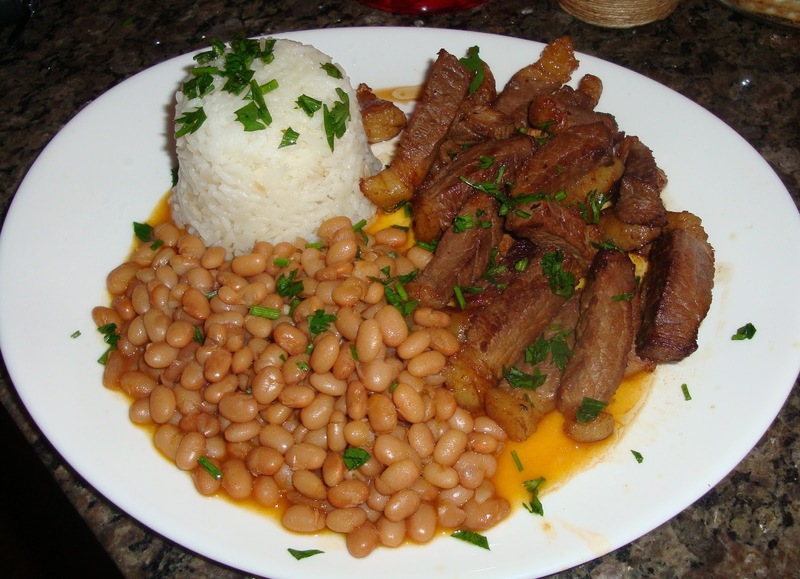 Feijão Tropeiro: Pinto beans sautéed with cassava flour, scallions, egg, and torresmo (crispy fried pork rinds).Typical dish of Minas Gerais but also of Bahia and some other States. 9. 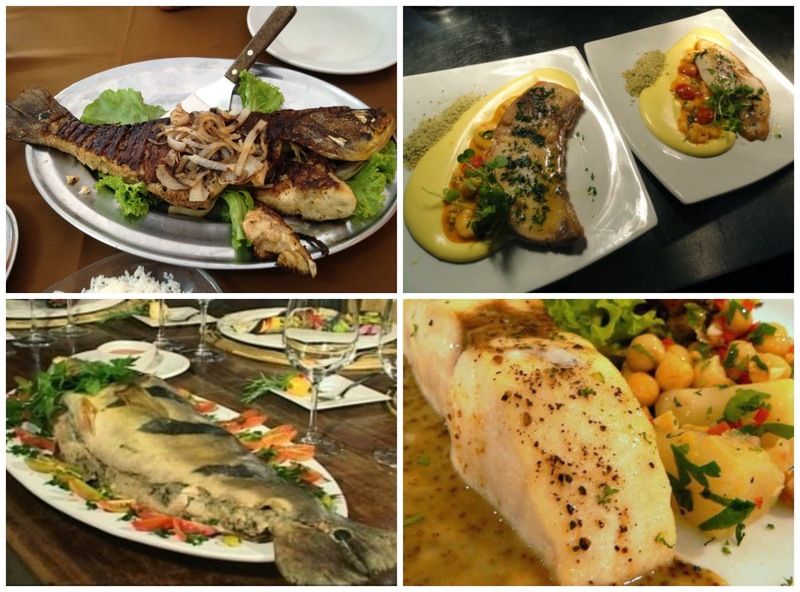 Tucunaré and pirarucu: It's not surprising that the Amazon, being the largest river system on the planet, has plenty of delicious fish to offer. These two giants (pirarucu can weigh 200kg!) are every fisher’s favorites and are easy to find while traveling in the north. They’re firm, white, meaty, succulent, and can be filleted, stuffed, or baked whole. 10. 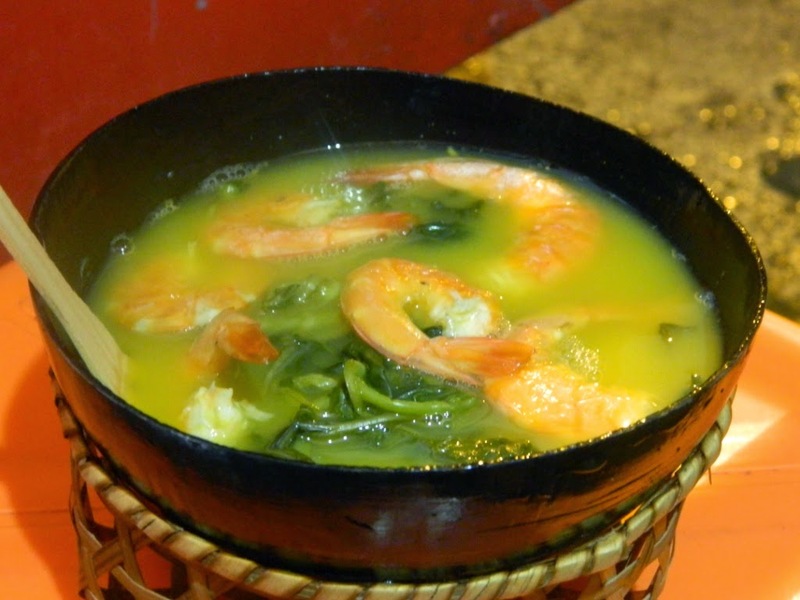 Tacacá: A traditional hot soup made of tucupi (manioc sauce), tapioca (manioc flour), and dried shrimp, plus a green leaves known as jambu, which has a numbing or tingling effect on the mouth. The dish is served in bowls and is very easy to find in Amazon cities, northern restaurants, and food stands all over the northern States. 11. 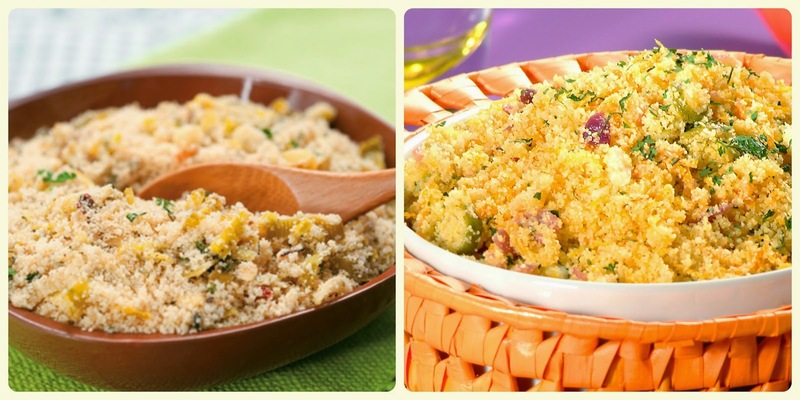 Cuscuz Paulista: Mixing two of the most popular Brazilian ingredients (corn and manioc flour), cuscuz comes in many variations, the Paulista being the most famous. 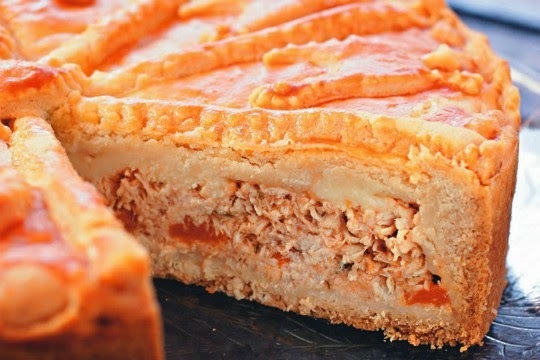 It’s basically a salty cake-like recipe made with flour and filled with ingredients that can vary from canned sardines (yes!) to palm hearts, boiled eggs, tomatoes, and olives (often all together). Every family has its favorite recipe. 12. 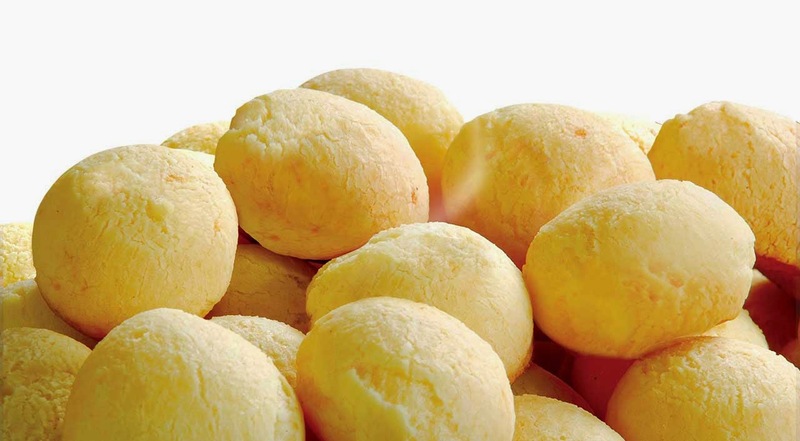 Pão de Queijo: Little, fluffy balls of manioc flour bread with cheese baked in it. It’s said that the best come from Minas Gerais, but they’re famous in São Paulo and Rio de Janeiro too. The cheese bread is a typical food of Minas Gerais, which spread throughout Brazil. And it is so popular in the country that there are large networks that have built their brands on top of cheese bread. 13. 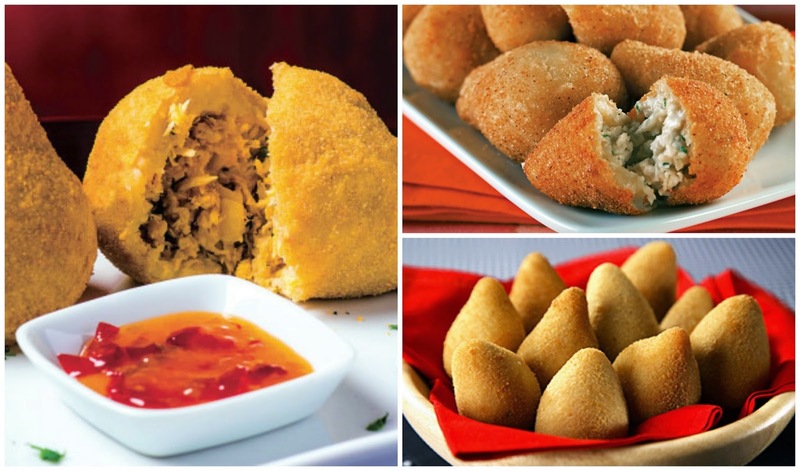 Coxinhas: Deep-fried dough usually filled with chopped chicken breast and a very creamy cheese called "catupiry". It’s available everywhere and best enjoyed with a can of the Brazilian soda Guaraná. Everywhere: in restaurants, as appetizer; bars, bakeries. 14. 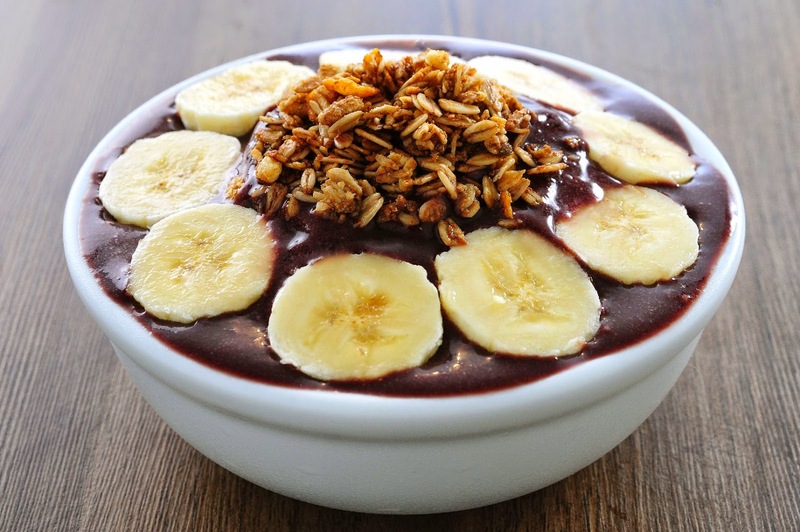 Açaí: In North America it’s a new “wonder berry,” but Brazilians have known about this little purple delicacy for ages. A superfood berry used to make fruit bowls and smoothies. Pro tip: Blend with bananas and strawberries and top with granola and honey. 15. Pastéis: fried goodness with less dough, which you can fill with everything from cheese, to beef, to cod fish, and pretty much whatever else your stomach desires.Here in Brazil pastel often replaces a full meal, the amount of such fillings and sizes that can be found. Are usually accompanied by sugar cane juice. 16. 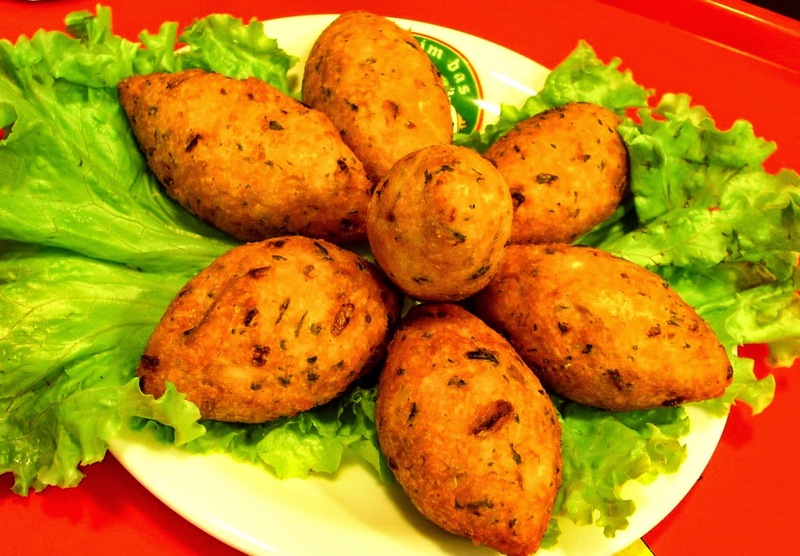 Bolinho de Bacalhau: a cod fish cake in a ball shape (Deep fried cod fish in potato dough). Commonly offered as an appetizer in many bars and restaurants. 17. 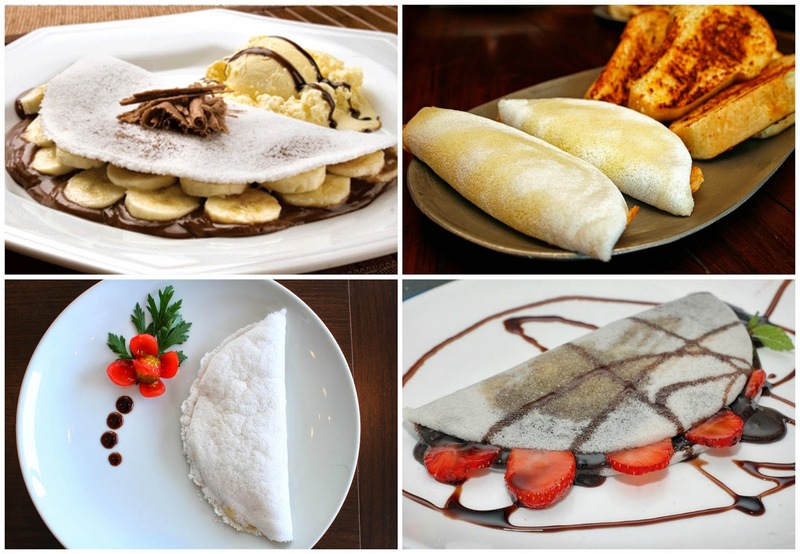 Tapioca: kind of pancake made from manioc starch and water, used for different types of meals. In beiju (or biju), the tapioca is moistened, strained through a sieve to become a coarse flour, then sprinkled onto a hot griddle or pan, where the heat makes the starchy grains fuse into a flatbread, which may be sprinkled with coconut. Then it may be buttered and eaten as a toast (its most common use is as a breakfast dish), or it may be filled or topped with either salgados (savory ingredients) or doces (sweet ingredients). Tapioca is more traditional and easier to find in the Northeast of Brazil, in many bars and restaurants, also as street food. In other regions, is more common to find it as street food. 18. Mousse de Maracujá (dessert): Passion fruit mousse. Mousse de maracujá or passion fruit mousse is a delicious and easy to make dessert. This tropical mousse is made with passion fruit pulp, whipping cream or condensed milk, egg whites and sugar. This South American dessert is very popular in Brazil! 19. Brigadeiro (dessert): Chocolate truffles made with condensed milk instead of cream, chocolate powder and covered in chocolate sprinkles. Most commonly in bakeries, confectioneries and candy stores. 20. 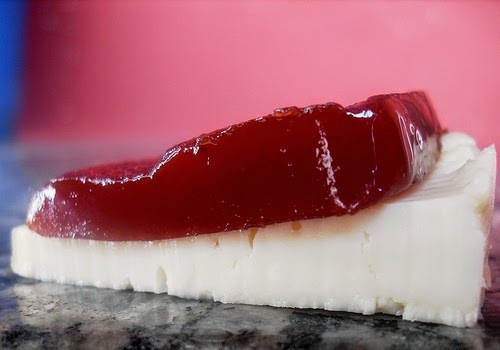 Romeu e Julieta: Guava paste and white cheese stacked on top of each other or separeted. 21. Caipirinha: It's the national cocktail of Brazil. 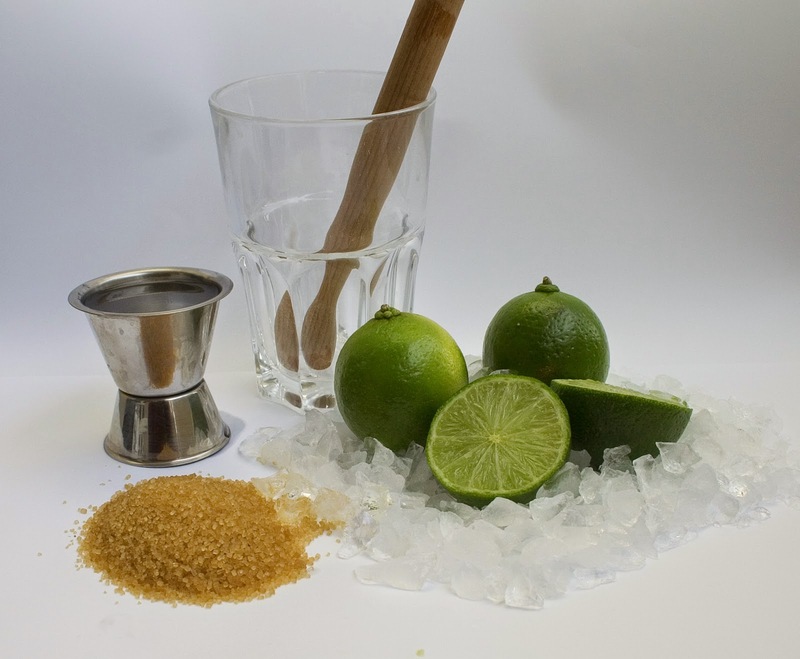 It is made with lime slices, sugar and “Cachaça” that is a popular sugarcane derived of alcohol. 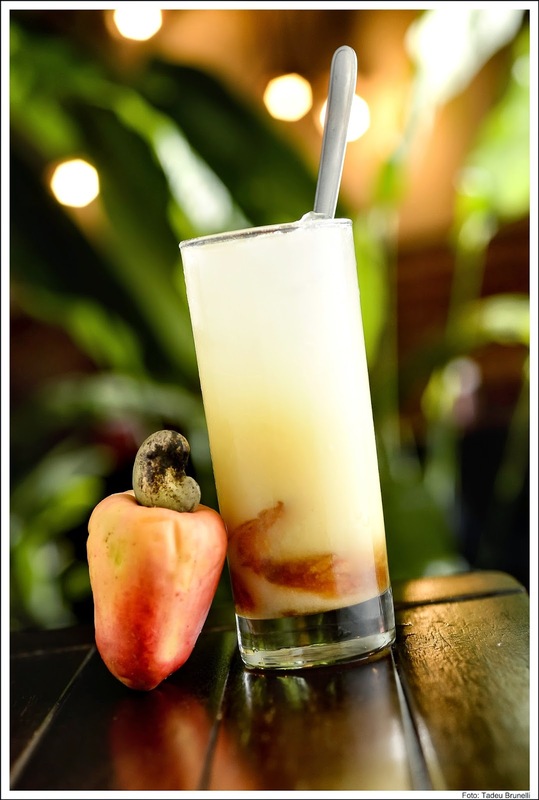 Some prefer to substitute the cachaça for vodka, which in some areas of Brazil is called a “Caipiroska”. 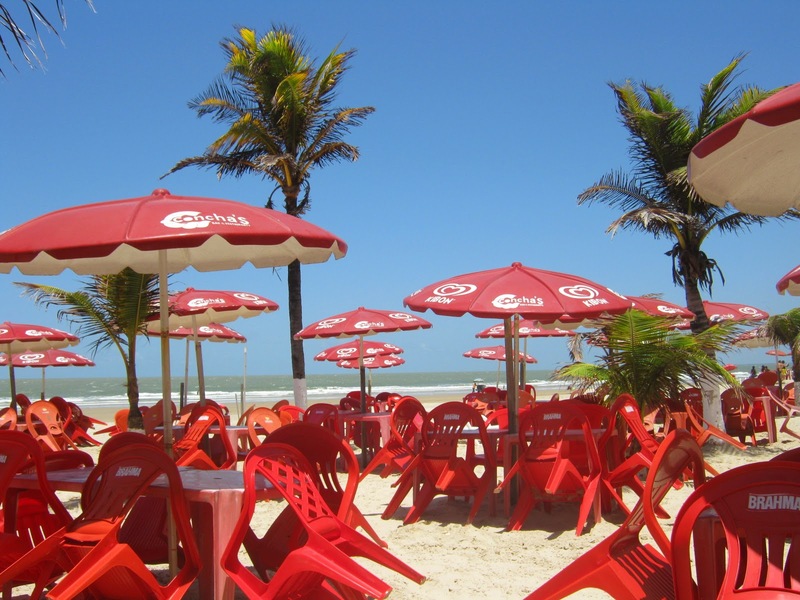 Once it is the national drink, you will find a Caipirinha in every bar or restaurant in Brazil. 22. Guaraná: Pronounced “gware‘na”. 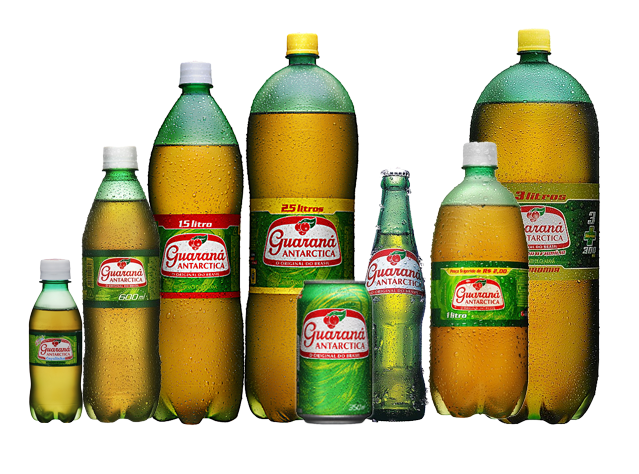 Guaraná is one of the most popular soft drinks in Brazil. Guarana is made from a fruit that grows in the Amazon jungle. The guarana fruit is rich in natural caffeine and used in many energy drinks. 23. 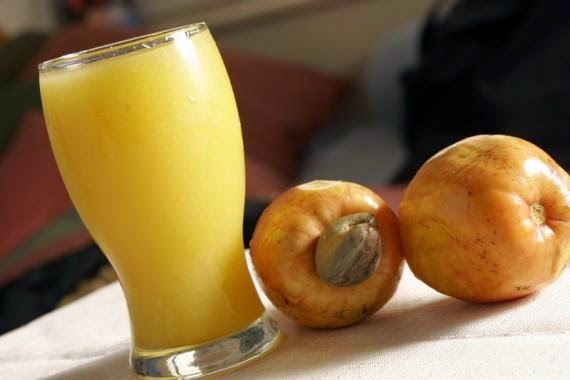 Suco de Cajú and its alcoholic brother, cajú amigo: Brazil is blessed with many delicious and nutritive fruits, and the bright yellow cajú (pronounced kah-juh) is among the local favorites. Its juice is bittersweet and amazingly tasty, and if you ever cross paths with the picolé (popsicle) version, get one. Cajú amigo is a batida (shaken cocktail) made with a local liquor like cachaça (sometimes vodka) with ice, sugar, and the crushed fruit.